It’s the most wonderful time of the year with Christmas just around the corner so we wanted to help get your Christmas shopping off to a flying start by introducing the Flying Pig Av-Vent Calendar for the first time ever! This year, we have put together 24 unmissable deals especially with Christmas Shoppers in mind from discounted trial lessons to flight memory giveaways – we have it all covered. So how do you get involved? Easy! Every single day between 1st and 24th December we will be opening a door of our Av-Vent Calendar on our website. This will reveal the day’s deal – some of which will be available for that day only or for the duration of the Av-Vent sale. 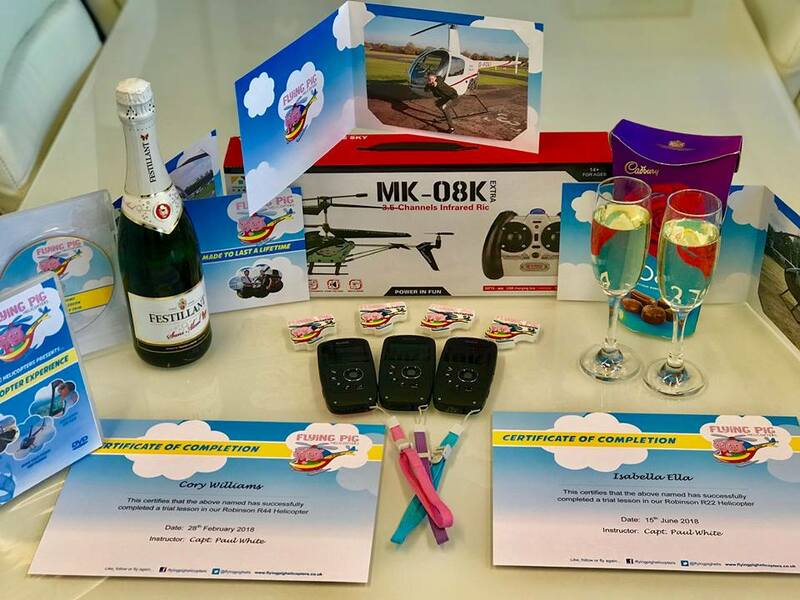 We have the training fleet covered (Robinson R22, Robinson R44 and the Guimbal Cabri G2) with trial lesson bundles for budding helicopter pilots as well as opportunities to upgrade your lesson time and experiences with incredible deals on extras such as the in-flight movie, Photo USB stick, printed photos and even Remote Control Helicopters to take away and hone your skills with! With a staggering 24 deals to take advantage of we can confidently say that there will be something for everyone! Check the site daily – or follow us on our Facebook, Twitter and Instagram for daily Av-vent posts – to make sure you’re not missing the deal you’ve been waiting for! Of course, the first three doors are already open! Our website will refresh at midnight every day until Christmas Eve so get hunting! Our booking team will be available for enquiries and bookings Monday to Saturday, 9am to 5pm but you can also enquire via our Social Media pages and via email at info@flyingpighelicopters.co.uk.